Turnham Green Area Guide - What makes Turnham Green so great? Where do Turnham Green locals go? Rosemary Fries that come with the great burgers at Honest Burger are great! A rustic gastropub with a great beer garden and excellent food. It can be a bit of a minor celeb hangout too! Every Saturday, the market hosts the best farmers, growers and street food traders London has to offer, bringing a wide range of cuisines from around the world. Share your favourite place to go to in Turnham Green. 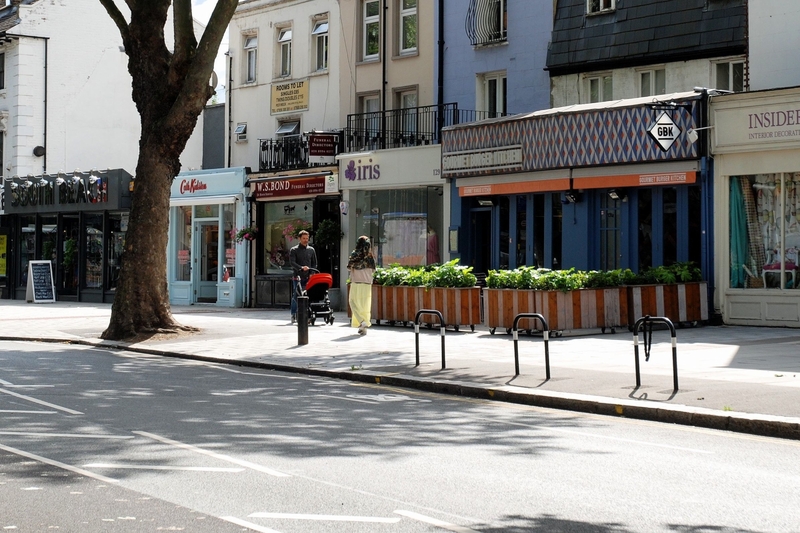 Whatever cuisine you fancy, there's sure to be somewhere along Chiswick High Road that will hit the spot! On a Sunday morning there's nothing much better than tucking into a full English breakfast at High Road House, followed by a wander around the vintage furniture shop, The Old Cinema, to find something totally unique for your home. Finally, it's got to be Macken Brothers to pick up a delicious joint for the weekly roast. What do you think of Turnham Green? Turnham Green is a public park situated on Chiswick High Road, Chiswick. It is separated in two by a small road. Christ Church stands on the eastern half of the green. The residential area of Turnham Green is actually further up the High Road centred around Turnham Green station and terrace. What are your favourite things about Turnham Green? Find out how much your flat or house is worth om Turnham Green. Feedback about living in Turnham Green has been submitted directly by the public and may not neccessarily reflect the views of Foxtons. The description of Turnham Green was modified from Wikipedia and is available under the Creative Commons licence. Land Registry data is Crown copyright. All the views and contributions contained within Foxtons Local Life are those of the contributors. All content is assessed before publishing for taste, however free opinion is encouraged. Foxtons accept no payment or sponsorship for content that is posted about Turnham Green.